September 25, 2017 by Ruth E. Broeski. You may think of Roman Catholic bishops as stern or stuffy; certainly you think of them as male. Not so, I say! October 1, 2017 at a synagogue in Aptos, California, Roman Catholic Womenpriests (RCWP) will be ordaining two new women bishops. They are Reverend Suzanne Thiel and Reverend Jane Via. As a sister priest, I have been asked to write about Suzanne. I first met Suzanne in 2006, sitting at a garden table of an Italian bakery in our home city of Portland, Oregon. She was already with another candidate, and I was invited because I was also pursuing priesthood. Suz and I eyed each other, and I silently thought she was at least okay. You must understand we were at the amorphous beginning of this movement of RCWP in the United States, and we were some of the early candidates feeling our way in this newly coalescing group. We didn’t exactly know what we were developing, but Suzanne brought to us her organizational and ministerial talents and sense of adventure. Those traits have served RCWP, her ministries, and the Church through thick and thin. She now conducts Sunday services for under-served Catholics and Protestants in assisted living, volunteers in hospital chaplaincy, performs weddings and funerals, anointing, and does informal counseling. She is at the ready for anyone who needs a priest. In RCWP her range is from administration to finances all the way to printing banners, brochures and doing everything, I mean everything, in between. Life has been full in ways she could not have imagined while visiting with me on that bakery patio. 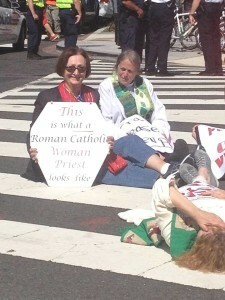 Like so many women priests, Suzanne came from a background of trying to make the world a better place. She spent years at our local Roosevelt High School, using classrooms, home visits and especially caring to see that teen parents made it to their crucial graduations. She still runs into people grateful to “Mrs. Thiel.” She was involved in her parish, St Clare, where she and her husband (of 43 years) and three sons spent their worship and service time. She helped develop the parish council, was on the school board, trained the altar severs, took communion to shuts-ins and worked as a volunteer with women at Coffee Creek Correctional Facility, making sure the women had a chance to pray and simply share together. It was distressing to her when she was asked to leave those ministries — a consequence of the institutional Catholic Church finding out she was an ordained womenpriest. Needless to say, the empty space has now been filled many times over. Preparation under Bishop Patricia Fresen’s guidance led to Suzanne’s ordination as a deacon July 28, 2007 at the welcoming Zion United Church of Christ. I remember it well, because I was lying right next to her on the brown carpet as we prostrated ourselves during the powerful Litany of Saints. The following year, Suzanne was ordained a priest in a ceremony in Germany. Once again, she leapt into the unknown. Yes, we were feeling our way forward, trusting Suzanne Thiel to be our lovingly-called “Boss.” At least we were mostly loving toward our administrator. Think about it — we are, after all, a bunch of very strong opinionated women. God bless Suz for hanging in there with “trying to herd cats.” We trusted her to keep us on track with all the organizational nitty-gritty an emerging group needs. It’s her gift, and a grounding one in a collection of women (and a few men) focused on so many varied and heavenly ideals in this world. Over these short eleven years, Suzanne has been a force in RCWP, holding a myriad of formal and informal positions. Much of her work has been behind the scenes and thankless (I’ll say thank you now: thank you, Suz!). Besides being the person who hands out RCWP bookmarks no matter where she travels, Suzanne has been essential on the leadership circle, significant on the Board, kept our finances in order, and been a trained eye on legal matters regarding our 501(c)3. She has attended ordinations worldwide, acquainted herself with just about every woman priest and contributed her management skills to our sometimes motley group. Suzanne’s caring involvement has ranged from organizing rides for us from the airport for retreat, to serving on the Board as president and the financial officer. One thing Suzanne is known for is her wanting to get the word out: “Yes, women priests do exist!” People at progressive and conservative Catholic conferences, people on planes and at pubs and restaurants have seen Suzanne Thiel in her Roman collar and found out for the first time that hundreds of women, yes women, have been ordained as Roman Catholic priests. Whew! What a legacy in a short eleven years. When our dear Western Region bishop, Olivia Doko, decided it was time to retire, we began our process for electing two new bishops from among our priests. One night when Suzanne was meditating in her bathtub, the Holy Spirit mumbled something in Suzanne’s ear about “let your role evolve.” So Suz left her name in for the ballot. 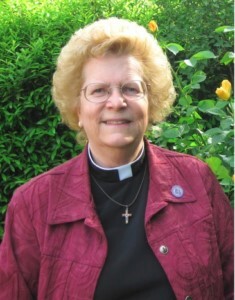 She was then elected by the members of the Western Region to be one of our bishops. Evolve. Serve. Jump in. Those are all holy messages and motivations for Suzanne Thiel. On October 1, adding another chapter to our jam-packed history, Suzanne Thiel and Jane Via will join eleven US, Canadian and European bishops on the altar. Suzanne will again offer herself in a new step forward. Western Region bishops, priests, deacons and candidates will be sitting in our Jewish friends’ sacred space to celebrate this joyous ceremony. Together other clergy, and with family and friends, we will unite with the universal Church and follow centuries of Apostolic Succession. We will celebrate our Suz and Jane becoming bishops. They will be lovingly anointed, ordained and consecrated by women’s hands. And I might add, by their hearts and souls, too. September 28, 2017 by Ruth E. Broeski. I’ve known Jane Via for 38 years. There was a group of women in San Diego who were meeting to address women’s ordination. I had asked Jane to moderate one of our gatherings focused on inclusive language. Jane was willing but asked me what the fee would be. We had no money and never imagined giving a stipend. Jane agreed that she would moderate this meeting but that it was important for women to learn to value women’s professional contribution as much as we would a man’s. Her words opened up an appreciation for women’s time and knowledge. Our group, WomenSpirit: Catholic Women of San Diego, was about to take a big leap forward in our awareness and consciousness! Jane remained in WomanSpirit as we explored what it was like to create prayer and ritual together as most of us had never been asked to lead prayer. 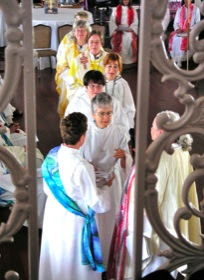 We grew alongside the wisdom of the Women’s Ordination Conference where we imagined a church with women priests that were ordained in a new priestly ministry. Jane’s knowledge of scripture, her friends in other woman-led congregations and her own hunger for ministry impacted the direction of our group and gave us hope to continue our work for justice in our institutional church. In her personal life, Jane continued to imagine this inclusive vision and allowed the desire for priesthood to grow in her heart. I remember the phone call when she told me about the Roman Catholic Women Priests organization. Jane was about to be ordained a deacon on the Danube River. It was an electric conversation! 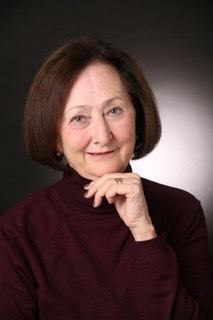 Jane then co-founded Mary Magdalene Apostle Catholic Community (MMACC) and she brought into this inclusive group people from so many areas of her life – including some of the original WomanSpirit members who were amazed to see one of our own push through the barriers to actually proclaim her priesthood after all these years. Jane’s ordination moved MMACC to the next level where we could worship weekly with a woman priest. Our community has evolved under Jane’s thoughtful, knowledgeable hand and encouraged our expansion in thought and deed. It is with unbounded joy that we celebrate Jane, our spiritual community, and RCWP as she takes this next step as ordained bishop, embodying women in priestly and pastoral ministry. 'The call to religious vocation came at different times in different ways. For some, it was a thunderclap, a great moment of clarity. 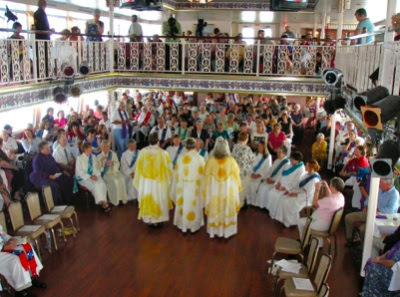 For others, it was a building crescendo after a lifetime of being in harmony with their faith... "
ROMAN CATHOLIC WOMENPRIESTS CELEBRATE 8TH ANNIVERSARY OF FIRST ORDINATION IN THE U.S. This week Roman Catholic Womenpriests-USA joyfully celebrates the 8th anniversary of the first ordination of Roman Catholic Women in the United States. You can help us continue to prepare and ordain women by making a donation to RCWP-USA today. In September of this year, Juan Arias, a journalist for the Spanish newspaper El País, started rumors that, even though Pope Francis had reiterated his predecessor John Paul II's assertion that the door was closed on the question of women's ordination, there might be a route open for the pontiff to appoint the first woman cardinal. 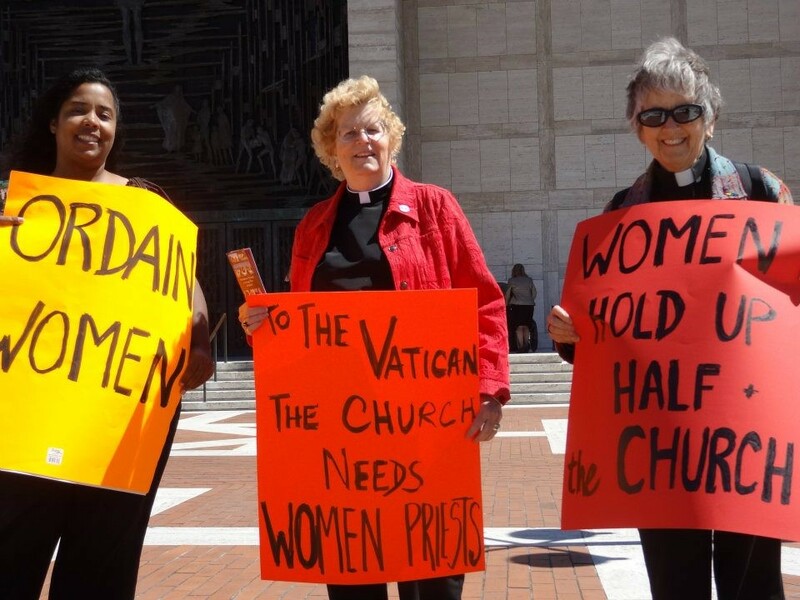 Although the Vatican immediately denied these assertions, the media swirled with the speculation and names of prominent Catholic laywomen who might be suitable candidates. Bishop Paul Bradley of the Catholic Diocese of Kalamazoo is warning Catholics not to participate in a ceremony Saturday in which a Three Oaks woman will be ordained by the group Roman Catholic Womenpriests. Worldwide members of the international movement of Roman Catholic Women Priests send our heartfelt congratulations to Pope Francis. We sincerely welcome him with our prayers and hopes for the future of the Roman Catholic Church. We look forward to the birth of a new era that promotes the inclusion of the voices of women, the poor and all others marginalized by society. Our hope is for a vigorous renewal of pastoral Church leadership living the Gospel of Jesus the Christ. We bless our new pope and pray with him. May God be with you, Pope Francis. Bridget Mary's Blog operates independently of Roman Catholic Womenpriests-USA, Inc. This third party blog is for informational purposes only.